I started doing a version of The Sunday Facial when I was a teenager – back then it was no more than a bit of a good cleanse, a face scrub and face mask. Over the years my routine has become more sophisticated and targeted as I got to know more about ingredients and how to look after my skin, but the premise remains the same: it’s about taking time out once a week just for myself. It’s something that was transmitted to me by my mom, who in turn got it from my granny. They both instilled the importance of a skincare routine in me and not to see it as something frivolous and vain, but as something as essential as looking after your teeth or having clean hair. We live in a non-stop society – when we’re not working/studying, looking after kids/husbands/boyfriends (wives/girlfriends – this applies to everyone), or taking care of basically everyone else before ourselves, we’re on Facebook, Instagram, Snapchat….you see where I’m going with this. We are never OFF. I certainly feel that way – I’ve never been as busy as I am now. I happen to love my job – but I could be doing it 24/7 if I didn’t make myself PAUSE. Of course this is only one aspect of great skin, your daily habits (from the products you use, to the foods and drinks you consume, your exposure to pollution etc) are crucial. But here’s what I know for sure: It’s a mistake to think that your skin will take care of itself –it’s the largest organ of the body and needs upkeep, just like you have to exercise to stay fit. I always joke that if I was as dedicate to my fitness routine as I am to my skincare, I’d give a VS Model a run for her money (not really – but you catch my drift). 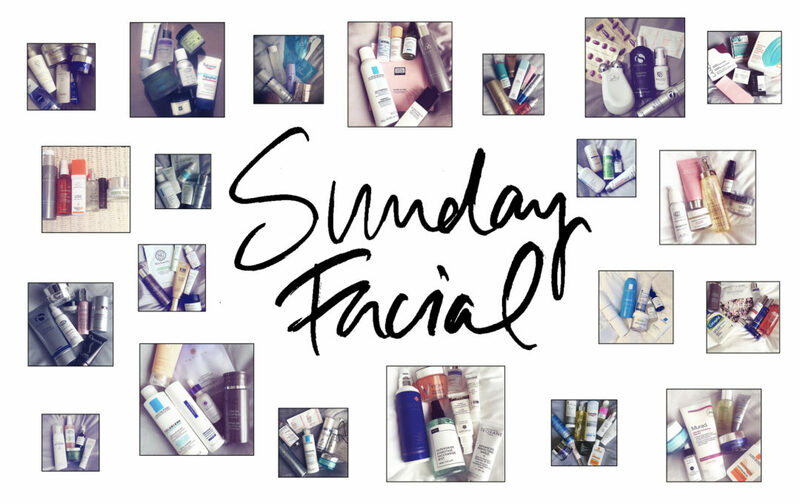 I’m so happy that you enjoy The Sunday Facials I have been doing on my Instagram and Snapchat – one of the reasons for doing the Blog, was so I can put together even more in depth and targeted routines, so I’ll make sure I post them on here every Sunday too. Remember one person’s miracle in a jar, is another one’s poison. The most effective way to make positive changes in your skin is to figure out what works for you and what doesn’t and if I can help you along the way to ultra-healthy and flawless-looking skin for now and forever more, then I’ll consider my job done. I’m not going to preach to you about the effects of cumulative late nights, fuelled by indulgent dinners and free-flowing drinks on your skin. I know that you already know. Have fun and try some of these tricks to bounce back the next day (even if you suffer from a double-whammy food and alcohol hangover). 1 No matter how late it is, I take my makeup off the minute I get home. If I can’t face my usual double-cleanse, I grab Koh Gen Do Cleansing Spa Water Clothes and rub everything off before falling into bed. I keep them on my bedside table so I have zero excuse no to use them. 2 To remove heavy eye makeup without over-rubbing the delicate eye area, Simple Kind to Skin Dual Effect Eye Make Up Remover gets the job done in one or two swipes. 3 Alcohol dehydrates skin (because it’s a diuretic) – to prevent looking excessively parched, I layer a humectant serum like NIOD Multi-Molecular Hyaluronic Complex to act as a moisture magnet under La Mer The Moisturizing Cream which creates a barrier to slow down the evaporation of water. Together they maintain hydration and give the skin a chance to regain a sense of balance. 4 Drinking a lot of alcohol also expands blood vessels, which causes extra fluid to spill around the very fragile tissue around your eyes. I sleep on an extra pillow to help drain some of the fluid. And I dab on Kiehl’s Midnight Recovery Eye to minimise inflammation and repair skin. 5 Skin on lips produces less oil than skin on your face. To keep my lips soft, plump and smooth I swear by Lucas PaPaw Ointment – the papaya extract sloughs of flaky skin gently, whilst the pharmaceutical grade petroleum wax relieves chapping. 1 The first thing I do when I wake up is drink two giant glasses of water. It’s about hydrating my whole system before touching tea or coffee. For added cleansing I add a tablespoon of Braggs Apple Cider Vinegar into the water. 2 To decrease puffiness around my eyes, nothing works like a bit of cold therapy. I take a pack of peas out of my freezer and place it over my under eye area for a few minutes. Or for a more sophisticated approach I love Bakel Blossom Ice, which boosts skin oxygenation and de-puffs. 3 Stronger eye makeup can sometimes leave some residue in the eyes, even if you’re meticulous with your removal. This can make eyes feel a bit sticky and bloodshot when you wake up. 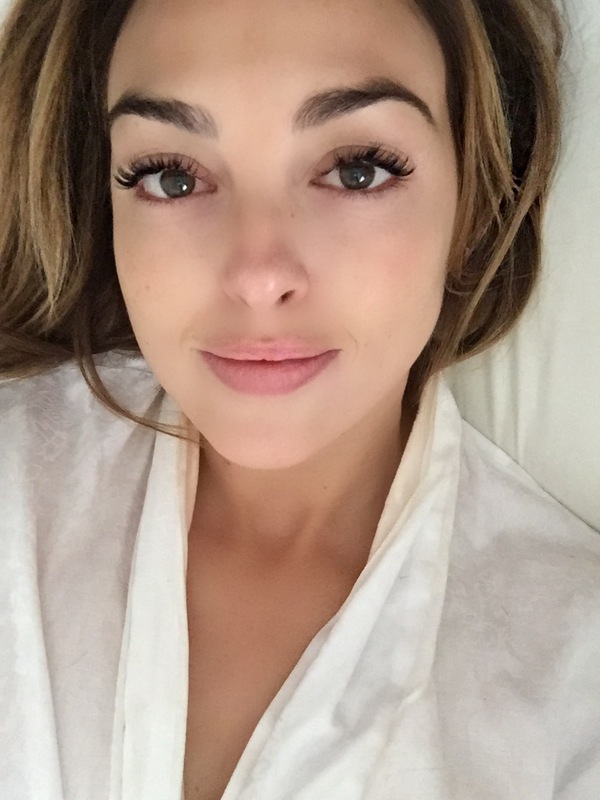 To clean my eyes I use Bebisol Serum Physiologique – they instantly make my eyes look bright and refreshed. 4 Really massage in your morning cleanser to increase blood flow, bringing oxygen to the skin and clearing carbon dioxide – it will also bring colour to your face and relax facial muscles. For partied out faces I like Skinceuticals Gentle Cleanser. 5 Estée Lauder Concentrated Recovery PowerFoil Mask is my morning after must. It plumps out any little lines thanks to its water binding ingredients like sodium hyaluronate, leaving me looking refreshed, glowy and not like I have spent the night partying. As a beauty editor it’s my job (and passion) to try out products regularly. 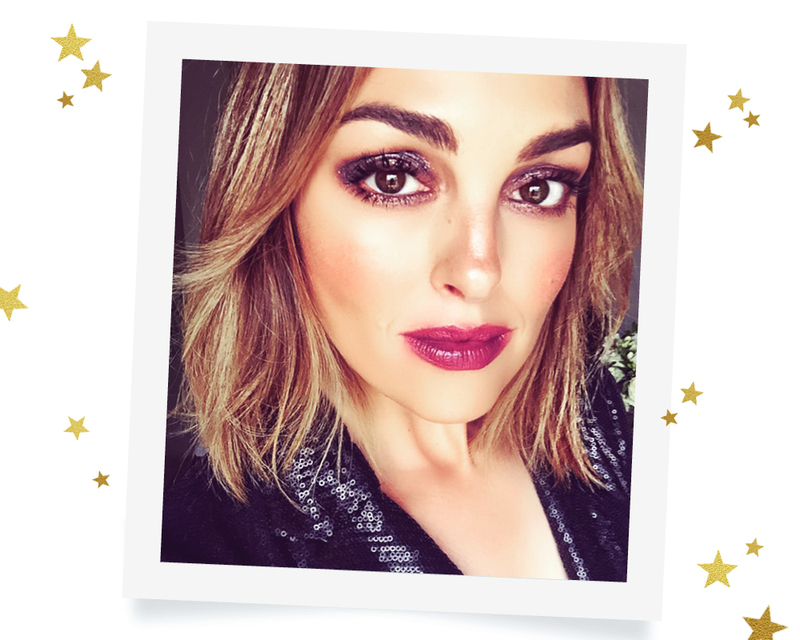 It’s what I’ve done over the past 15 years – interviewing dermatologists, researching ingredients, deciphering labels and testing, testing, testing, not to keep all the good stuff to myself, but so that I can share the best of the best with you. Because for me, the one thing better than a beauty secret, is a shared beauty secret. The secret to great skin is not an extensive time-consuming routine using a million products. For me it’s always been about keeping it easy and effective. And whilst I’ll incorporate newness into my routine, these are the skincare heroes I’ll go back to time and time again because simply put, they deliver. My first cleanse is always with a micellar water to dissolve a full face of makeup and prep skin for the next steps. This is such a cult product. I love Hyaluronic acid and this serum is the best – it acts like a moisture cushion delivering instant tightness and glow, but also protecting your skin’s moisture barrier long-term, which is crucial to healthy, dewy youthful-looking skin. I love this lightweight oil-free serum. I’ve used this for years and am convinced my skin is in great condition because of it. It hydrates, smoothes, evens tone and basically makes my skin look young. This is such a great morning cleanser – super gentle, smells lovely and cleans skin without stripping it. Skin is left fresh and radiant. My delicate, dehydrated skin responds so well to Crème de La Mer – this lustrous cream-gel formula makes my face look so glowy and juicy. This is so much more than a hydrating mist – it’s a miracle mist! A blend of moisturizing Red Algae and Squalane, it brings the face back to life. I spray it on bare skin and over makeup multiple times a day. Oil-free, yet hydrating and non-pore clogging. This tinted sunscreen (comes in 2 shades) is the one that works for everyone (even spot-prone skin) and it actually makes your skin look retouched. Eye creams can make my eyes puffy. This gel is light yet packed with wrinkle busting peptides and skin building vitamins A, C and E.
The nappy rash cream that works like a charm on calming inflammation from breakouts. This bio cellulose mask takes the whole concept of sheet masks to another level – it perfectly adheres to your face shape thanks to its second skin texture and delivers an all-inclusive boost of hydration and radiance. Hands down the best liquid exfoliator to clean out pores, control oiliness and calm inflammation. It’s all very well to focus on the latest and greatest, but we can sometimes forget the basic skin facts that hold true for everyone. No hype, no hyperbole, these ten rules work for all, regardless of age or skin condition. A cleanser is not meant to make your skin squeaky clean, a toner is not meant to make your skin feel tight and an exfoliant shouldn’t sting, burn or make your face red. All of those are signs of irritation and irritation leads to inflammation, which is never good news for anyone. Very hot water dries the skin and can stimulate sebum flow. Dial down your tap and finish with a cold rinse. As for cleansers – I only use soap-free, non-irritating formulas. Products that are too rich, can block pores, provoke blackheads and breakouts. dehydration can make breakouts worse. Just make sure you use oil-free products. A lot of people take care of their faces, but totally neglect their neck and hands. I apply the same thing I use on my face, down my neck and over the back of my hands, so they get equal level of hydration, protection, cell renewal and sun protection as my face. Silk pillowcases cause less friction against your skin (and hair!) so I don’t wake up with creases and hopefully get fewer lines in the long run. I noticed a real difference since using a humidifier in my bedroom –especially in winter when there is less moisture in the atmosphere, which tends to dehydrate skin. A lot of experts will say that there is not evidence vitamin supplements are of any value to the skin. Regardless, I can only go by my own experience and they work for me. I take a high dose of Vitamin C daily (Biocare Vitamin C 1000) to help with collagen production, Fatty Acids (Advanced Nutrition Skin Omega’s+) to lubricate the skin from the inside whist also reducing inflammation and a Pre/Probiotic complex (Dr Nigma Healthy Flora) to keep my gut working optimally which is vitally important for healthy skin function. I’ll admit I have a lot of skincare products, for one because I earn my living trying new products, but I’m also a skincare obsessee. However – I’m very methodical about introducing new ingredients. I’ll try one new product roughly every two weeks (and I make sure I’m not duplicating ingredients), so I get the opportunity to see if it’s working for me. And if my skin reacts badly – I back off. It’s something I’ve done ever since I was a teenager. Taking time out once a week to put yourself first is great for the soul and skin. You don’t have to do endless steps – even if it’s just a good cleanse, exfoliation and mask – that’s perfect. Going to get professional treatments is wonderful but the ultimate secret to good skin is what you do at home and that means building a routine that is targeted and effective for you – quick and easy during the week and a bit more indulgent on Sunday.